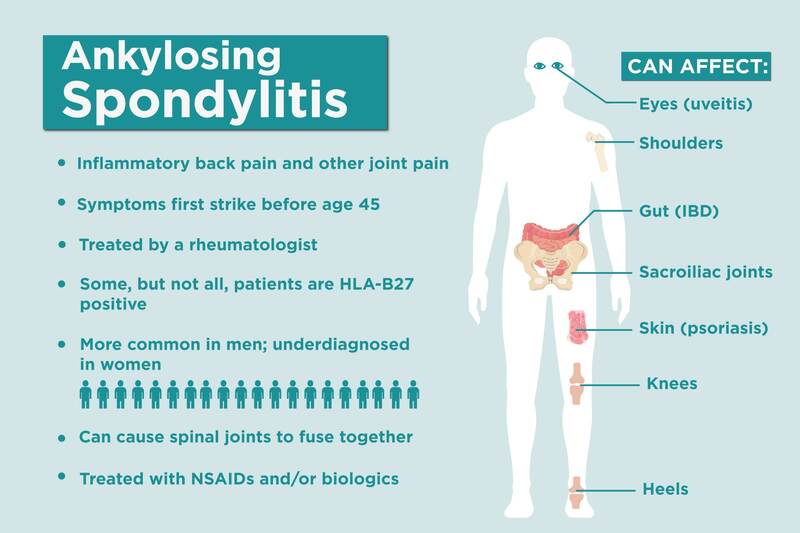 Rheumatoid arthritis, psoriatic arthritis, ankylosing spondylitis, or any kind of arthritis causes much more than just chronic pain. These inflammatory diseases can wreak havoc on emotional well-being, whittle away self-esteem, break our spirit, and often trigger debilitating depression. Most days are difficult, so when we have one that’s happy, productive, or flare-free, it’s memorable. 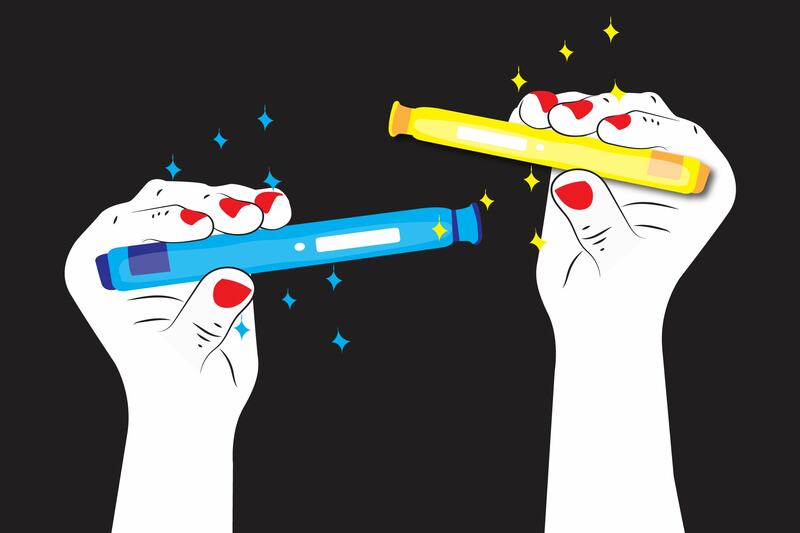 People living with a chronic illness don’t take one second of relief for granted, plus these respites give us the strength to keep trying to live our best lives, despite the constant physical and mental challenges. “It’s all about the small victories,” says Jen Soldat, who was diagnosed with rheumatoid arthritis six months ago. 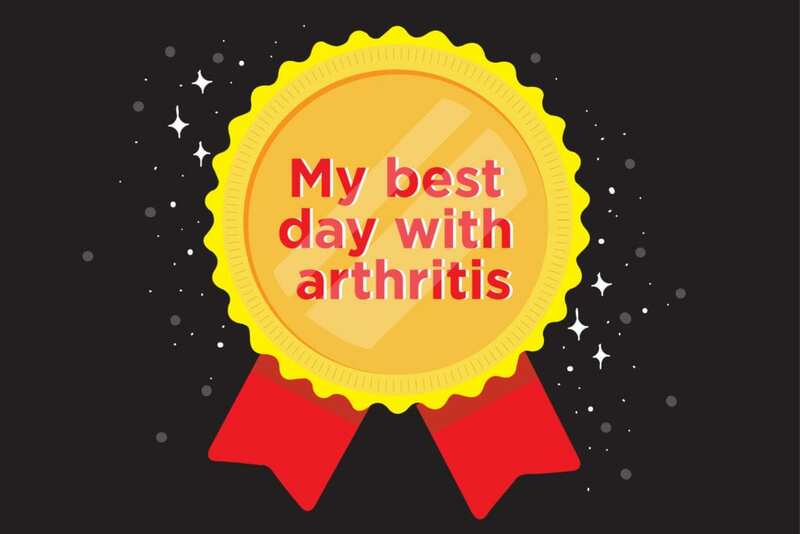 So, as preposterous as it might seem, it is possible to have a “best day with arthritis.” A lot of it has to do with perspective — and appreciating the upsides of challenging situations. “In 2014, my pain from having AS skyrocketed and stole so many of my physical capabilities. I had nearly lost the ability to walk at all. My right foot would not move past my left and I had a very pronounced ‘pimp limp’ as I tried to walk. I needed a cane or other means of support and stability for even a few short steps. “I was diagnosed with RA at 32, 11 months after I gave birth. I was still wearing heels to work. I enjoyed dressing up. My motto? The higher the heel, the more praises! Then I just became so tired, I started buying flats so I could be comfortable at work all day. Then it became an everyday thing and I had to give up most of my shoes. I kept two pairs, one a five-inch stiletto. I was invited to participate in my friends’ Catholic wedding and I wanted to wear those heels. I prepared for that wedding. I did not eat anything that could possibly cause flares. No carbs, sugar, beef. I took my medications. “I’m still early in this journey. All of my symptoms came on after I had my fourth child eight months ago. I literally couldn’t do anything for myself. I couldn’t even sit up in bed without help from my husband. He had to pull me out of bed and walk me to the bathroom. I would scream in pain even when he was helping me. After I had my baby, it was summer and my older kids were home. We stayed in my bed all day with the baby until my husband came home to help me. That lasted for about four weeks then I began doing things in bed like stretching and just lifting my legs and arms. I slowly got better over that time. Webinar: Can Your Diet Help Treat Inflammatory and Autoimmune Disease?